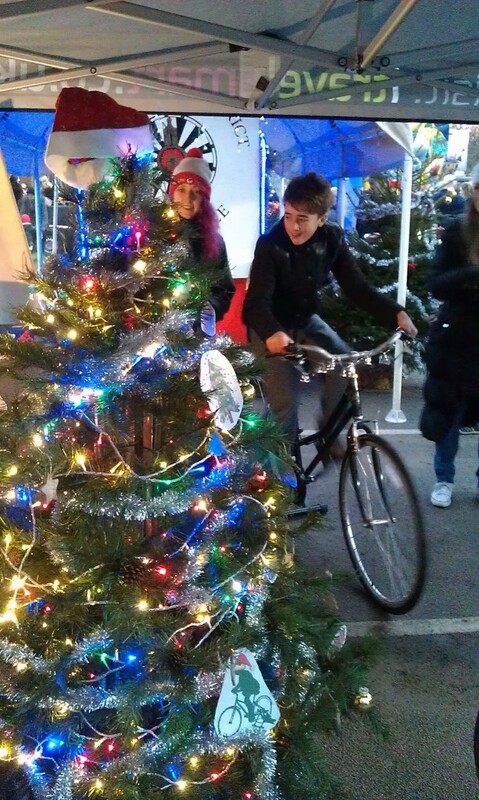 Why not book a pedal powered Christmas tree for your yuletide School or family event!?! As you see here this can work alongside the pedal powered light bulb and power measurement software so you can see how much electricity you are generating. We can provide up to 50meters of LED fairy lights to decorate your tree and these can be powered by one two or 3 bike generators. The lights come on in sets. So if you pedal slowly just the red lights come on then as you pedal harder the string of multicolored lights and the warm white lights follow. This can be done with or without electrical storage. 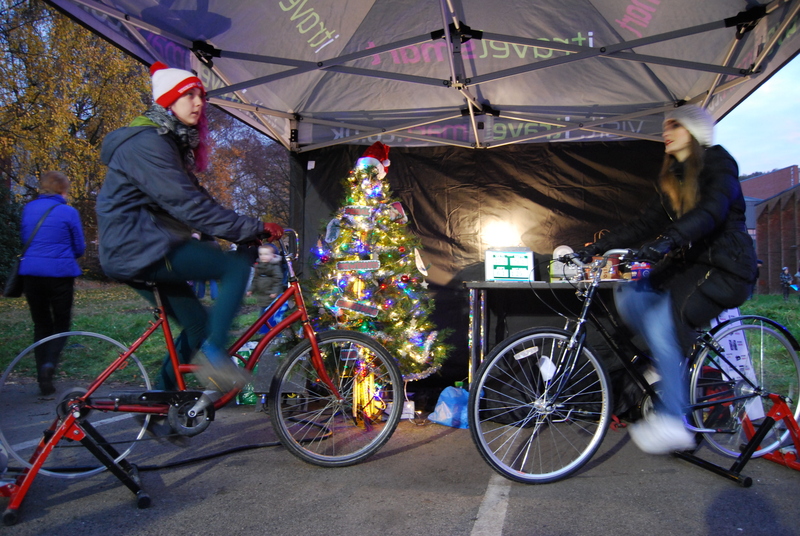 With no storage the lights come on instantly and go out as soon as you stop pedalling. With the storage it takes a little time to get them all on but they will stay on for 5 or 10 mins after so you can bathe in the festive glow of your efforts!